Your 2012 Membership Dues are now due. If you have not already done so please complete the form below and return it with your payment. 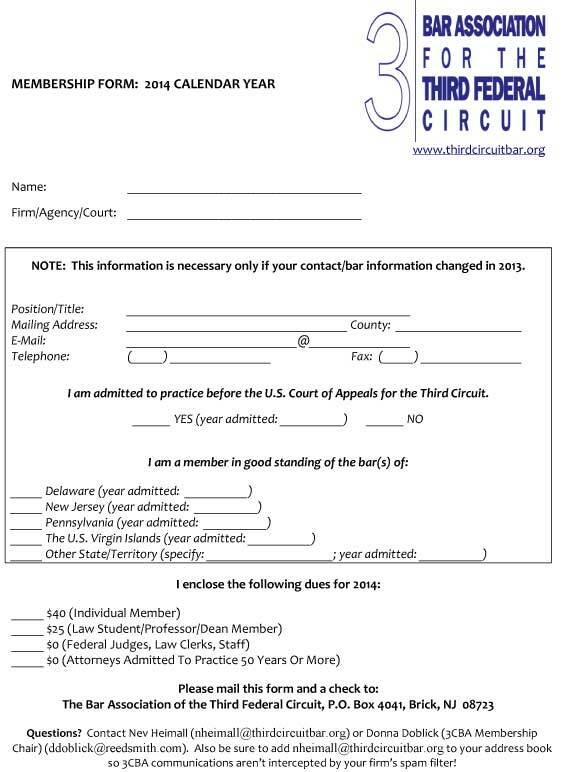 If your dues have already been paid and you would like to verify same, please contact Nev Heimall at nheimall@thirdcircuitbar.org. Thank you.